The Ford Ranger remains the overwhelming first choice among buyers of compact pickups. Nearly a third of all compact pickups sold are Rangers. More than 5 million Rangers have been built since the first one rolled out in 1982. 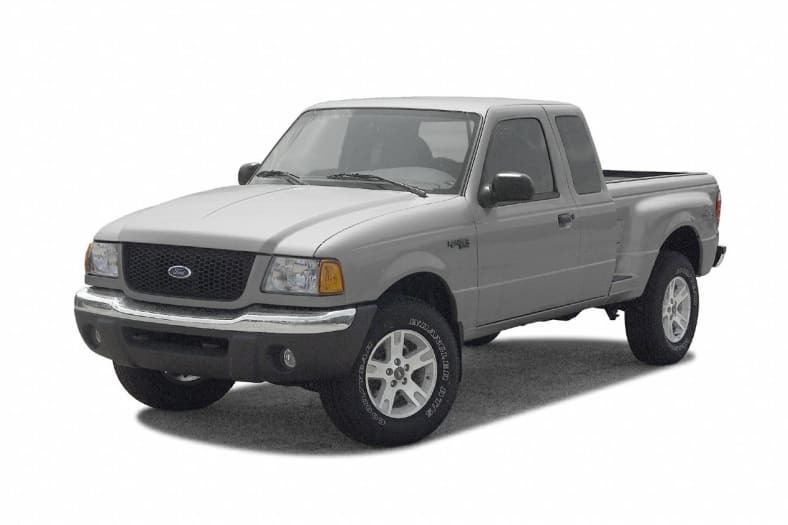 For 2003, Ford has improved and refined the Ranger with better brakes, new interior fabrics, and more extensive sound insulation. New options and special option packages are available for serious off-road slogging or boulevard cruising. Some of us still remember when pickup trucks primarily hauled lumber, sand, and fertilizer. They do that better than ever. But to succeed today, a pickup also has to haul attitude. Fortunately, Ford's compact Ranger can haul just about anything with ease. Whether you want an economical truck for your business, a family vehicle with more personality than a car, or a too-hip platform to help you share your tunes with the neighborhood, Ford can build a Ranger just for you. Prices for basic work trucks start at just over $13,000. A wide range of options, including a powerful 4.0-liter V6 engine, a five-speed automatic transmission, a four-wheel-drive system, and a variety of trim levels and body styles should extend Ranger's appeal over a wide audience.